When Star Trek: Into Darkness came out last year, it was met with plenty of mixed reviews, but one fan’s question stuck with me: “What does this movie even add to the canon?” Many Trekkies hasten to agree — isn’t the reboot nothing more than a flashy, sleek, bastardization of our beloved science fiction show? Has Star Trek been stripped of all it’s original glory of Boldly Going and reduced to explosions, epic battles, and uninspiring plots of revenge? There are plenty of things wrong with the rebooted Star Trek movies. One need only spend 5 minutes on any Trekkie-filled website to be inundated with the lists… However, with all its faults, I would argue that the reboot adds something very interesting to the canon — something that directly ties in with the very nature of the original show. Before we address the reboot, let’s first take a quick look back at TOS. It is incredibly easy for us to see strange things in foreign cultures or on alien worlds, but it is far more difficult to pick out and analyze parts of our own every day lives. That simple fact is what makes Star Trek a model example of classic sci fi. As a genre, science fiction is widely used as a tool of critique and commentary. 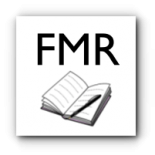 Although we write about galaxies far, far away and places where no man has gone before, we are really writing about the human condition and the human experience. At its core, science fiction is a means of exploring our own politics, our own societies, our own technologies, own human strengths and weaknesses, our own identities. The way that Star Trek, in particular, does this, is by using the utopian Federation and United Earth as blank canvases on which to paint a single issue per episode. The series makes commentary on the social issues of the time by isolating topics and showing us “new species” that are struggling with only one of the facets of our own society. The crew doesn’t encounter space hippies in “The Way to Eden” simply because it’s hilarious, but because it was a prominent counterculture that peaked during the 1960s. Similarly, the opposite-colored Cherons from “Let that be your Last Battlefield” held a clear discussion on the absurdity of racism less than a year after the assassination of Martin Luther King Jr.. And “A Taste of Armageddon” calls into question the nature modern warfare and the role of technology in preserving, and destroying, life — a topic at the forefront of everyone’s mind in a time gripped by the nuclear tensions of the Cold War. Indeed, pick nearly any episode of TOS and you can clearly see its social relevance to its time period. And although it may not be as overt, the same remains true of the reboot. Just as TOS addressed the concerns of the late 20th century, it’s important to view Star Trek XI and XII through the lens of the early 21st century. Let’s pretend we’re 50 years in the future looking back on these two movies just as we look back on classic TOS — what is the world like around us and how does Star Trek show it?? Future us will look back and see that — politically, technologically, economically — the beginning of this century has been heavily defined by the War on Terror and the Great Recession. And the new Star Trek reflects it just as clearly as The Voyage Home reflected the Anti-whaling movement of its time (well okay, maybe nothing is that clear…). Firstly, let’s take a look at the War on Terror and how it affects the villains in the new movies. Coming out in 2009, Star Trek XI presented us with Nero — an angry Romulan who feels betrayed by a government that had promised to protect him and vows revenge on a federation he believes was never there to help his people in the first place. Whether intentional or not, his anger is not unlike the unrest in the Middle East. Arbitrarily drawing country lines after WWII that exacerbated already extant social tensions, and flirting with being in and out of the area militarily and politically throughout the following 50 years, caused the debate about how much Western government action and influence was/is appropriate in the area. In TNG, Spock is on Romulus as an undercover ambassador, helping the underground movement that supports a Romulan/Vulcan alliance. The Federation and Romulan governments are dancing over each other’s borders, fluctuating between honest discussions of peace and underhanded espionage. When Romulus is threatened by the exploding star, there’s still tension over federation action but they end up calling on the Vulcans to help anyway. When Spock fails to do so, Nero lets the original discontent about Federation “help” consume him. Furthermore, the plot element of the vastly powerful Redmatter technology falling into the wrong hands paralleled the global political rhetoric surrounding nuclear weaponry. Now, we’re still only talking about the setting — we haven’t touched on what the commentary of the reboot is yet. But before we do, let’s go back and address things from the perspective of the Great Recession. For this, though, I’m going to need little Jimmy Kirk’s help. Many fans see the reboot’s Jim Kirk as “broken” somehow — a shadow of his Prime Universe counterpart. Some might chalk it up to poor writing, but I would argue that it is very, very intentional. It is noteworthy that our first “introduction” to James T. Kirk in ST.XI is via name alone as George and Winona say their goodbyes. The writers are banking on that name, banking on the fact that you know who “Jim Tiberius Kirk” is. You’ve come to this movie with an image in your head. Even if you have never seen TOS, you remember James T. Kirk from Earth’s history. He’s the intrepid golden captain of the starship Enterprise — adventurous and passionate, charismatic and romantically irresistible, brave and loyal. (And let’s not forget, “a stack of books with legs.”) Sure he had his struggles, but he was stronger for them in the end. “James T. Kirk was considered a great man.” And most importantly, he believed in Starfleet, in Starfleet’s message and its mission. That romantic image, instilled in us from the classic era of TOS, is shattered in the next scene in ST.XI where little Jimmy crashes his father’s car and impetuously sasses a police officer. Where the deleted scene with Sam would have more clearly underscored the canonical transition between TOS Kirk and Reboot Kirk, it is no less important that the two are fundamentally different. Behind his adrenaline-junkie facade, this alternate Jim Kirk is angry, sulky, and directionless. He doesn’t believe in the ideals of Starfleet, scoffs at its pillars of “peacekeeping” and “humanitarianism” when Pike tries to convince him to enlist. He has the capability of being the larger-than-life Jim Kirk of TOS — he’s quick-thinking, charismatic, a “genius level repeat offender” — but somewhere along the lines, this alternate Kirk has lost sight of the lofty vision that defined the classic Star Trek. So how does this play into the Great Recession? When the economy crashed in 2008, sociologically we saw what little remained of the optimism and faith in government crash with it. Usually, economic slumps are followed by an increase in public support for government spending and an increased trust in government action (for example, review the actions taken in the wake of the Great Depression). But the 21st century economic downturn saw exactly the opposite. Instead, drastic partisanship and skyrocketing polarized politics in America’s government caused public opinion to fall even further than it already had in the wake of the War on Terror. All discussion of plans to address the issues facing the country became intensely charged with political bias and made it difficult for any action to be taken at all. In turn, the lack of forward-momentum caused an even higher sense of government distrust among that public. This is the key setting for the rebooted Star Trek and particularly the rebooted Jim Kirk. He is the embodiment of the disillusionment with the grandiose ideas of the past, he is the “new species” upon which the writers isolated the current generation’s unease with gilded imagery and lofty goals. And this is where the actual commentary arises. Bottom Line: How do We Approach the No-Win Scenario? 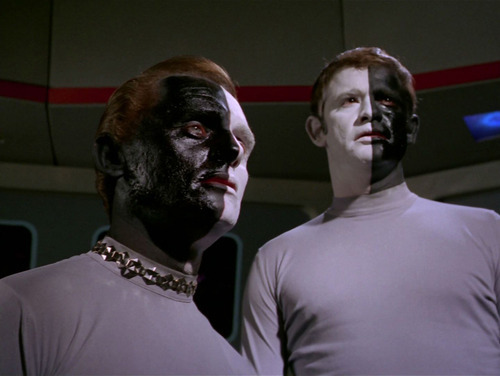 Looking for the clearest explanation of the social commentary in a TOS episode? Watch the last bit of dialogue between Kirk, Spock, and Bones on the bridge at the end of every one. Looking for the same in the reboot? Look no further than Kirk’s speech at the ending of Into Darkness. And while the most literal interpretation addresses the political setting of the 21st century — by warning against over-militarization and the potential of ourselves to become the enemies we fear in others — there is still an even deeper message that seeks to speak to everyone. Throughout the course of the two films, Jim Kirk moves past his emotional knee-jerk reaction to a society that has not lived up to its own expectations. He does not let himself believe that there is no chance of winning. And in the end it is this refusal to give up on the distant, unreachable ideals that fuels forward progress. Kirk’s message — the social commentary — at the end of the films is not necessarily that our dreams are actually attainable, but merely that our nightmares are not all we have left. The people “we once were and [those] we must be again,” are not those who live in an ideal world, but rather are those who strive for the possibility of one. 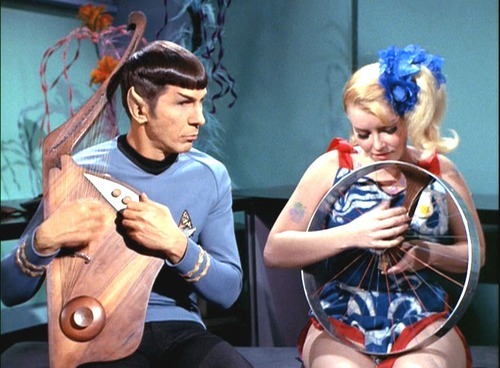 Many people question whether Star Trek is still relevant today. Modern science fiction is steeped in dystopian literature — does the United Earth and the Federation of Planets still have a place in the hearts of an audience obsessed with doubting their society’s own potential? But this is the message that the reboot brings us — that even when we do not have the world we dream of, it is essential that our mission be an ongoing one, that we never lose sight of bold new opportunities. The most obvious dissent against this essay is that the authors could never have meant these parallels to exist, that the writers of the new Trek movies are only concerned with selling big-budget action movies and didn’t intend any commentary at all. But author’s intent is not always necessary to see how society has informed the creative decisions of writers in all genres. In fact, that the authors sought to make the rebooted Trek relevant to a modern audience at all shows that they must have drawn inspiration from the modern world. The Star Trek series acts as a time capsule — each bit reflective of its time in even the smallest, inadvertent ways. 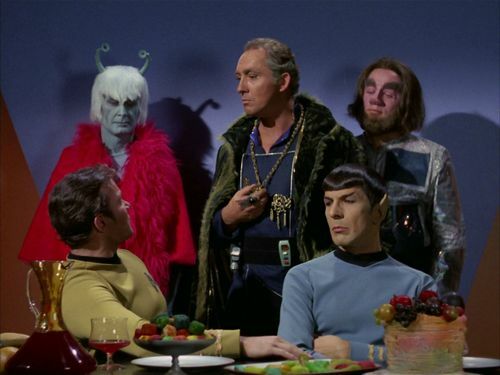 It is shortsighted to to deny that the Reboot holds value in the spectrum of Star Trek’s social timeline simply because there might be the chance that the writers did not design the visible commentary. This entry was posted on November 17, 2014 by lorimori and tagged fan analysis, science fiction, star trek, star trek into darkness.